Very limited stock available again, if you have enquired recently and been told that we had sold out, good news we've secured more! 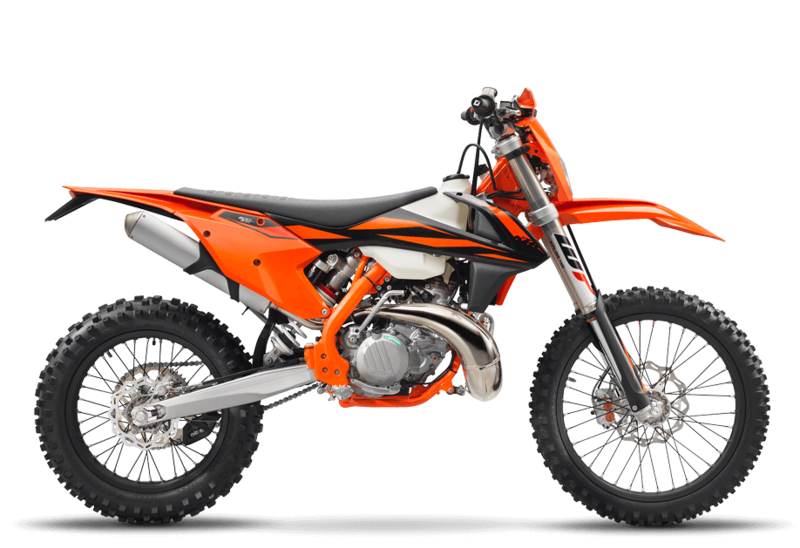 300 EXC TPI 2019, was £8098 now £6749 and for a limited time only we are offering 6.9% APR with any deposit above £99 over two to five years. 4-stroke rivals, beware: this tool might just be the sharpest in the shed. If you want torque by the bucket loads, a top-end to die for and a lightweight chassis ready to rise to any occasion, give this fuel-injected 300 EXC TPI 2019 lightning bolt a go.